Kerastase Nutritive Oleo-Relax Serum Review - The Ultimate Serum For Frizzy Hair! Kerastase Nutritive Oleo-Relax Serum: What's In A Name? Kerastase Review: The Journey Begins! 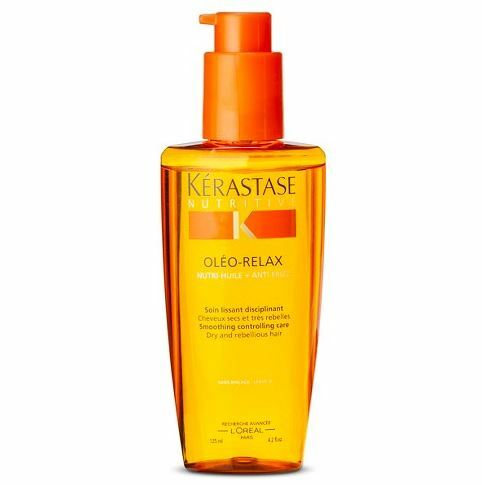 The skinny: Kérastase’s Nutritive Oléo-relax Sérum is a hair oil for dry hair. When the climate is against you, the Nutrive Oleo-Relax Serum is in your corner. This Kerastase nutritive oleo-relax serum review will take you from its origins through my experience using the product. When I started using the Kerastase Nutrive Oleo-Relax serum I was desperate and I needed something good. Some months ago I traveled across the country to do an internship. I knew that this would be life-changing and career-changing. Also, I was at a point where a change of scenery would only do me good. What I did not expect, though, was the change of hair. Or, to be more specific, the total meltdown. My hair has always been a bit wild, but it wasn’t something I could not handle. 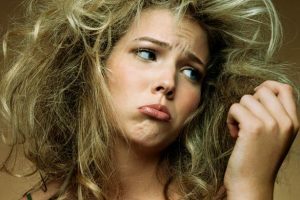 In the past, I had my own hair care home remedies for dry hair that worked well but now this was something I could not handle. Only once before had I been in this situation. Only when I was visiting my sister in rainy London, was my hair this out of control. In this new climate, I needed something. Of course, the story has a happy ending, but I thought that you, my dear reader might be interested in the product itself, the stuff that I needed to do research for, so let’s go through what it really is and then come back to the story of how it saved my hair. Kerastase Nutritive Oleo-Relax Serum: What’s In A Name? Let us start by breaking down the name – Kérastase’s Nutritive Oléo-relax Sérum, or as the French grammar dictates, nutritive sérum oléo-relax. Although a product name, I will ditch the diacritics of the French language just out of pure laziness. 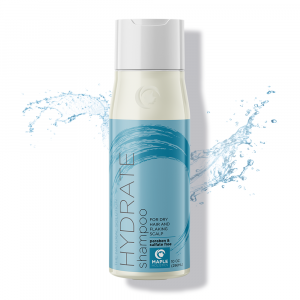 Kerastase is a French luxury hair product brand owned by the French cosmetics juggernaut L’Oreal. This is a company which sponsors and provides some of the glamour of the Cannes film festival. Nutritive, their line of hair care products for semi-dry or seriously dry hair and scalp (take a look at our review of Kerastase Nutritive Masquintense for more info on another great product in their Nutritive Line) is one of the best. The Serum Oleo-Relax is the third step in the hair care process. 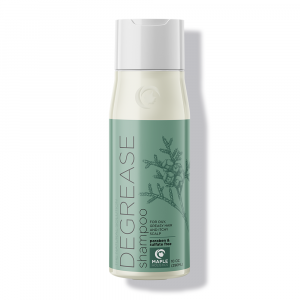 It is applied after cleaning and treating hair with mask or conditioner. Oleo does not seem to mean anything in French, but in Spanish and interestingly – in Esperanto – it means oil, so perhaps we can assume oleo-relax to be a neologism for relaxing oil? I’ve heard of relaxing oils for bath, but for hair?! Well, Kerastase describes this line to be for seriously dry and “rebellious hair”. And oh boy, was my hair being rebellious. Like an angsty teenager. The French word for oil is huile, which is written on the bottle: Nutri-huile. The oil is derived from palms and shorea robusta, aka sal tree. In recent years, oils have been the dominant trend in hair and skincare. I assume this to be a part of wanting to return to a more natural type of beauty care. This hair oil does not ride the current wave of fashion, as it seems to have been around for quite a bit longer than the trend has. I wanted to know what other people have thought about it, so I went to the beauty magazine Allure’s website, where they had selected it as one of the best beauty products of the year 2012 and of … 2003! Also, it seems to be the go-to item of celebrity hairstylists. Not bad. Finally to the Serum part. Nowhere in my bottle does it say serum, and I assume it was added later to the product’s title, in order to accommodate the latest serum craze that has swept the world of cosmetics. It seems like serums are everywhere in the past couple of years, and – interestingly enough – it is South Korea that it is becoming a phenomenon, showing the way to better and more precise skin and proper hair care. But let’s get back to the hair oil. So, does it bear the name serum rightfully? What is a serum? The wisdom that I have gathered from reading Vogue, Elle, Harper’s Bazaar, Allure, Glamour, Cosmopolitan, Women’s Health… says that a serum is a kinda super booster that targets a specific problem. In skincare, it is usually a light moisturizer that has supercharged goodies which you apply before you would apply your regular moisturizer. Serum entails targeting a specific problem. Here, the Nutrive Oleo relax serum adds extra moisture and extra oomph to the dry hair. What it does is what serums generally do, and I think that the product does deserve the name of serum, even if the concept of serum was not super popular when this hair oil made its first appearance all those years ago. But unlike natural face serums, this hair serum is applied after the general conditioning. Also, unlike conditioner, it is left in the hair. So my journey back from hair hell – or rather, from Anne Hathaway in Princess Diaries before the makeover to Anne Hathaway after the makeover – began. The hair oil serum is super easy to use. 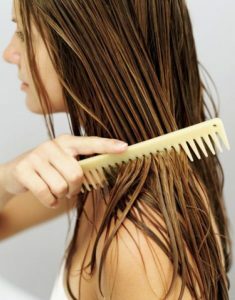 Squeeze the oil from the pump bottle several times onto your palm, then spread it to the middle and ends of your hair. Try not to apply directly to the scalp, so that the oil will moisturize and nurture and not add unwanted oil to the scalp. 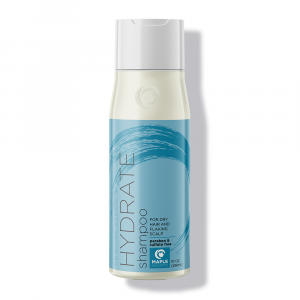 You can add it to moist hair after a morning shower, and dry it with a hair blower and big comb. 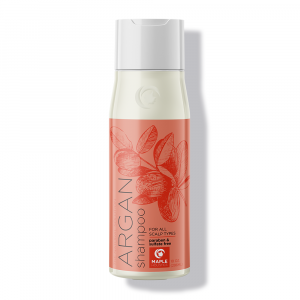 It is also really good in the sense that not only does it straighten, it also protects the hair from the heat. I don’t style my hair other than just blow drying, but I guess it would also work quite well with an iron or something similar because it is also marked as a primer. Also, sometimes when I am forced to skip the shower in the morning I add it to my dry hair. That works well, too. I think the key here is not to add too much. I was tempted to add a lot because my hair looked terrible in the beginning, but I found that this was not necessary. A small amount will be potent enough to tame the beast. The idea here is to smooth the hair, not to oil it up. The right amount won’t weigh the hair down either. 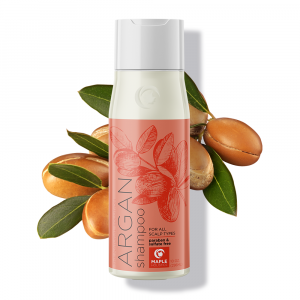 Although controlled, the hair stays healthy and bouncy and gets back its soft shine that the weather tried to strip away. The lovely floral scent is also worth mentioning. My internship lasts another couple of months. After that, I leave these humid conditions. I think my bottle, the second one that I bought, will suffice for the time remaining, even though I use it every day. Although it is an awesome product, I hope that after I go back home, I don’t need to use it ever again. But to those poor souls who actually live here all their lives, I really do recommend this Kerastase Nutrive Oleo-Relax Serum. 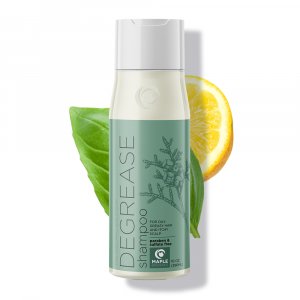 Your hair will thank you.